When an older adult loses their hearing, they face the same fears as anyone with a different kind of disability. They worry about being marginalized, or seen as incompetent, or even stupid. Sometimes they lash out at the ones who try to help. Since Mike is semi-retired, he spends more time with my mom on the days he doesn’t work. Mom always seems to have a honey-do list for him. Because they are both stubborn, they tend to argue a lot, especially about who said what. Though she wasn’t specifically talking about hearing loss, the feelings of being left out, forgotten, and discarded are a part of not being able to hear the world around her. It’s a form of self-imposed psychological solitary confinement. I’ve noticed in my mother’s case, so much of her energy is spent trying to hear the dinner conversation between Mike and me, she often forgets what we’ve told her. Social norms are so ingrained in us by our culture, that we nod and look engaged, even if we don’t understand what’s being said. Five days a week, Mike and I provide dinner for her. We cook at home, then carry the meal to my mom’s house, and eat with her. Yesterday, my mom called me as I was getting ready to leave work. “You don’t have to fix me anything for dinner tonight. Bob came over with some snacks, so I’m not hungry. I believe it’s more than simple forgetfulness. Looking back at the conversations throughout the week, I’m convinced Mom doesn’t hear half of what Mike and I say at dinner, yet she acts like she’s tracking. Dorothy began to lose her hearing ten years ago. It started as a constant ringing. It then progressed to sounding like she was hearing underwater. Her doctor diagnosed her with progressive hearing loss. She decided to invest in hearing aids. 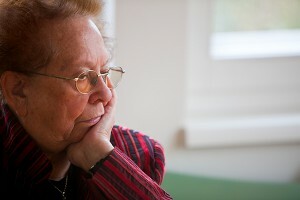 For Dorothy, it’s made the difference between isolation and social interaction. She’s able to continue meeting with her coffee group every morning at McDonald’s. She can watch television without making the walls vibrate. She’s able to enjoy going to church again. She can hear her grandson’s chatter. Ginger McMurchie is the founder of Elder Care Management, a resource for helping families find alternative living arrangements for their aging loved ones. “A common thread among the elderly who are experiencing hearing loss is the feeling of isolation.” McMurchie suggests that families encourage their aging loved ones to stay engaged, even to the point of insisting upon hearing aids. The first thing to do is to take your loved one to see their primary care physician, after you’ve begged, cajoled, or bullied her to get help. The doctor can examine your parent’s ears to see if their hearing loss is as simple as excess wax. There may be a fluid buildup or even a punctured eardrum. The doctor may diagnose your aging loved one with presbycusis, which is the loss of hearing that gradually occurs in most individuals as they grow older. Consultation with a specialist is important for evaluation of a hearing loss. An ear, nose and throat specialist should evaluate the problem to make the diagnosis and exclude related systemic disorders that may contribute. Get their attention. I have to make sure my mother’s eyes are on me when I speak. If she’s looking down at her plate, she won’t know I’m talking to her. Sometimes I have to tap her on the arm, or wave my hand, to get her attention. Remember when your kids were toddlers? They’d repeat, “Mom, Mom, Mom,” until you gave up doing whatever you were doing to answer. Perhaps we need to regress to our childhood. Speak loudly. I have to remember to enunciate my words and raise the volume of my voice. It reminds me of trying to communicate with someone with limited English-speaking ability. We tend to talk louder, thinking somehow the other person will finally get it. It’s an exhausting way to communicate. If your parent is particularly stubborn, let her know how difficult it is for you. Rephrase and repeat. Sometimes I’ll break my sentences up into short snippets, pausing in between to make sure my mom is tracking with me. I’ll ask if she understood. I don’t move on to the next subject until I get her agreement. Have good lighting. This is especially important in my mother’s situation, since her eyesight has deteriorated from macular degeneration. Show grace. I’m guilty of doing the opposite of this one. I’m used to the fast-paced business world at my day job, where every question is answered within minutes. When I get home, I have to slow down my pace, taking into consideration that Mom needs extra time to process our conversation. Have you ever had a conversation with a difficult person at church, and used the term, “Extra grace required,” when referring to him? Many times our aging loved ones get on our last nerve. They fall easily into the EGR category. Some days I want to shout, “Mom, get fitted for hearing aids, already!” Please make my life easier. I have been given abundance of grace from Jesus. How can I not show grace to the ones who brought me into the world, and nurtured and cared for me? 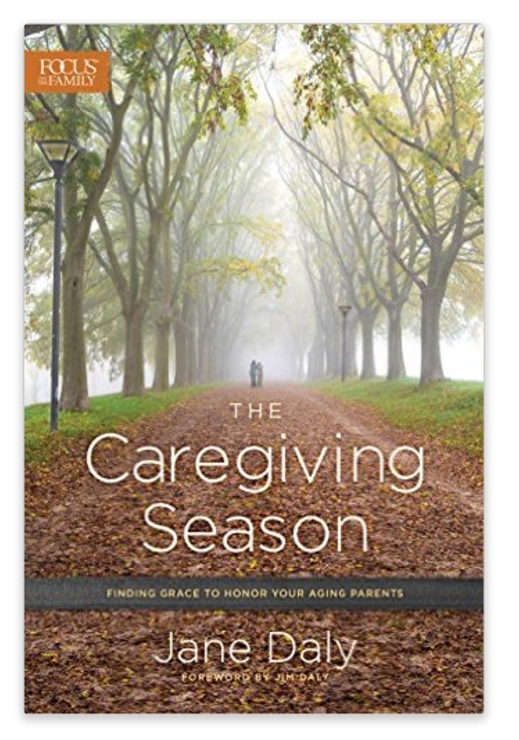 How can you allow God’s grace to carry you through your loved one’s hearing loss? Have a conversation with your aging parent about their hearing loss. Talk to him about his feelings of grief over losing such a vital sense. Try to get to the root of his refusal to get hearing aids. Is it financial? Is it pride? Is it inertia, due to your willingness to enable him to carry on as usual? 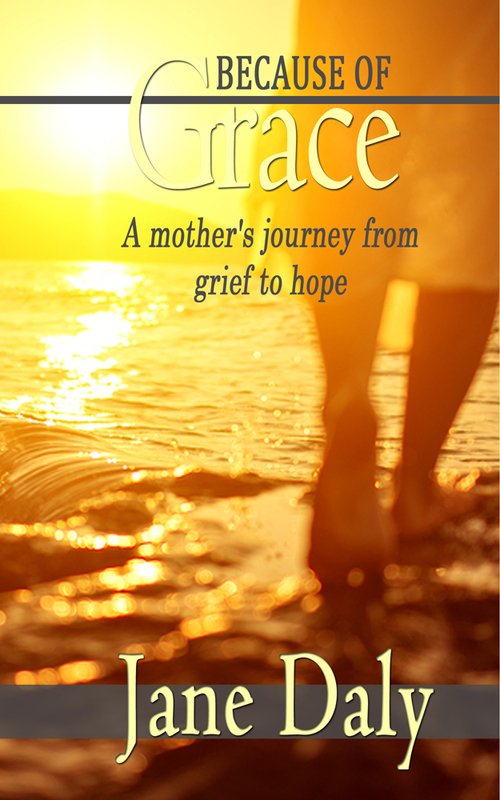 Jane Daly is the author of two books, Because of Grace (2015) and The Caregiving Season (2016). She can be reached through her website www.janeSdaly.com. 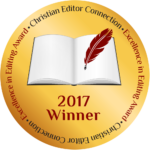 She is also the treasurer of Inspire Christian Writers and West Coast Christian Writers.